I first started working on PocketWGU late in 2010 while I was a student at WGU. I released the first (beta) version to the WGU community February 28, 2011. With tremendous help from fellow WGU students as well as WGU faculty and IT staff, I've been able to keep if functioning until the changes a week or two ago. That's a nearly 7.5 year run; not bad for a student-created, completly unofficial app that had to be built from scratch with almost no knowledge (and zero documentation) of the systems with which it had to interact. 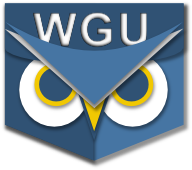 As a proud WGU alumnus (I graduated in 2011), I'm pleased that WGU had one of the first truly functional mobile apps of any university (online or otherwise) and that it's been available for Android, iOS, and even the short lived Windows Phone. I've spent thousands of hours working on this pet project over the years, and always appreciated the great feedback and support from WGU students who have given it a try. Thank you all for that support, and to the PocketWGU app: goodbye old friend. I'll keep this website up for the time being, and I'll hang onto the code of PocketWGU in case I hear from others who might want to try reviving it. Comments on this site are disabled, but you can always reach me from the "Email" link above. "Not all good things come to an end, now it is only a chosen few..."